Morgan graduated from East Central State College in 1968. In 1972, Morgan earned his Doctor of Optometry from the Southern College of Optometry in Memphis, Tennessee, before turning professional later that year. 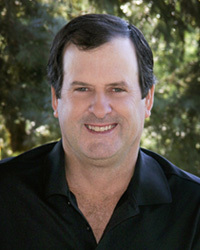 Morgan played on two U.S. Ryder Cup Teams, in 1979 and 1983. He became eligible for the Champions Tour in 1996 and won quickly and frequently thereafter, the first time being 11 days after he turned 50 at the Ralph’s Senior Classic. He has won 24 times on the Champions Tour. Three of those wins were at Senior Majors. Morgan and his wife, Jeanine, have three daughters, Molly, Maggie and Melanie. Verplank had a very accomplished amateur career with wins in the Western Amateur and the U.S. Amateur in 1984. Verplank became the first amateur since 1956 to win on the PGA Tour when he won the 1985 Western Open. While attending Oklahoma State University, Verplank was a three-time 1st Team All-American, the Big 8 Medalist in 1984, a member of the U.S. Walker Cup Team in 1985 and the NCAA Medalist in 1986. He also held the honors of Big 8 Athlete of the Year and the Fred Haskins Award in 1986. Verplank joined the PGA Tour in 1986 and has had five victories including the 1985 Western Open, 1988 Buick Open, 2000 Reno-Tahoe Open, 2001 Bell Canadian Open, and the AT&T Byron Nelson. He also has one international victory, the 1998 World Cup of Golf. Throughout his career, Verplank has been selected for six National Teams: 1985 Walker Cup, 2005 Presidents Cup, 2002 and 2006 Ryder Cup, and the 1998 and 2004 World Golf Championships-World Cup teams. Verplank and his wife, Kim, have four children, Scottie, Hannah, Emma, and Heidi. Participating in his first golf tournament at age seven, Tway would go on to have a great amateur career, winning the Trans-Mississippi Amateur and the Georgia Open and being selected for the World Amateur Team in 1980. Tway was a three-time 1st Team All-American at Oklahoma State University. While in college, he became the 1979 Big 8 Champion, winning two NCAA Team Championships, and received the Fred Haskins Player of the Year Award in 1981. Tway joined the PGA Tour in 1985 and has recorded eight career tour victories. In 1986, he had a major championship win at the PGA Championship which led to the PGA Player of the Year Award later that year. Tway and his wife, Tammie, have two children, Kevin and Carly. An accomplished junior player, Kevin is the 2005 U.S. Junior Amateur Champion and a two-time Rolex Junior All-American. Brandt Jobe was born on August 1st, 1965 in Oklahoma City, Oklahoma. Growing up, his interests in golf stemmed from his attendance at the U.S. Open at Cherry Hills Country Club in 1978. 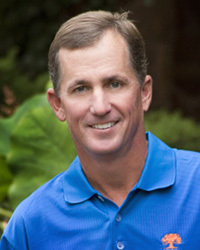 After attending UCLA and playing on the NCAA Division I Men’s Championship golf team, Jobe became professional in 1988. From there, Jobe knew his love of golf would ultimately be something he pursued for the rest of his life. After turning pro in 1988, Jobe’s career took off overseas, as well as in the States. Internationally, he soared with over 12 international victories – ranging from the British Columbia Open in 1990 to the 1998 Japan PGA Championship. Jobe also won the Payless Classic (1991) in Canada, as well multiple Asian Tour wins – such as the Thailand Open (1994), the Mak-Young Classic, the Malaysian Classic, and the Bali Open (1995). He also has won the following tournaments and events on the Japan PGA TOUR – Mitsubishi Galant Tournament, Tokai Classic (1997), Golf Digest Tournament, UBE Kosan Open, and the Mizuno Open. On America soil, Jobe has played countless PGA TOUR events – such as the Masters Tournament and the PGA Championship in 1999, The Open Championship in 2006, and the US Open in 2008. Brandt is looking forward to a great year with his new teacher, Joey Sinclair. 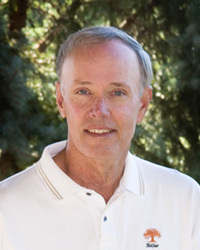 Wood had an outstanding junior career with victories at three of the most prominent national junior events: the 1977 U.S. Junior, the 1978 PGA Junior and the 1979 Western Junior. 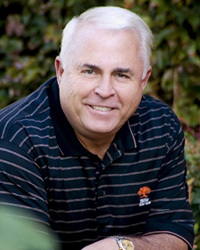 A two-time 1st Team All-American while attending Oklahoma State University, Wood was named Big 8 Champion, received the Fred Haskins Award and finished T41 at the Masters as an amateur in 1982. In 1983, Wood was a member of the U.S. Walker Cup Team and later that year the medalist at the PGA Tour Qualifying School. Wood joined the PGA Tour in 1984 and would win his first event in 1996 at the Deposit Guaranty Golf Classic for his first victory on the PGA Tour. He has earned 22 top-10 finishes and finished as the runner-up five times. Also, Wood earned a return trip to the Masters in 1998 by finishing 12th at Augusta in 1997, his best showing in a major. 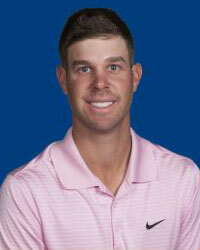 Tway is the son of Bob Tway, an eight-time winnner on the PGA Tour, including the PGA Championship in 1986. He attended Edmond North High School, where he was named The Oklahoman's All-City Player of the Year in 2006 and 2007. Tway won the 2005 U.S. Junior Amateur and advanced to the semifinals the following year. 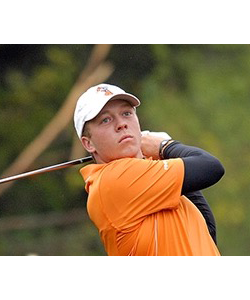 Tway played college golf at Oklahoma State. In his freshman year, he won the NCAA Central Regional and was named honorable mention All-American, first-team All-Big 12 and was selected to the All-Central Region squad. Tway qualified for the 2008 U.S. Open at Torrey Pines but he failed to make the cut by four strokes after posting rounds of 75 and 78. Tway lost in the round of 16 at the U.S. Amateur to Derek Fathauer. Having gone to College in the US, Rhein Gibson turned Professional in 2010. He earned status on the PGA Tour of Australasia in 2011 via Qualifying School. Still relatively unknown to Australian golf, Gibson fired a record 16-under 55 in 2012.
which also sealed his ticket to the PGA TOUR for the 2015/2016 season. Moore Played his HS golf at Edmond Memorial and was two-time State Champion. He went on to the University of Arkansas where he became SEC Freshman of the year in 2013. Moore was All-SEC 2014, 2015 and 2016. He was also named to the 2015 and 2016 All-American teams. Immediately following the NCAA Tournament Moore qualified to play on the Mackenzie Tour-Canada and finished 3rd on the money list to earn his Web.com tour card. He finished 2nd at 2016 Q-School to earn Fully exempt status on Web.com Tour. 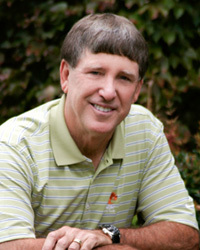 While attending Oklahoma State University, Edwards was a two-time 1st Team All-American and the 1978 NCAA Medalist. He also led Oklahoma State to the 1978 NCAA Championship. Edwards turned pro and joined the PGA Tour in 1978, where he has four tour victories: the 1980 Walt Disney World Team Championship (with brother, Champions Tour player Danny Edwards), 1984 Los Angeles Open, 1992 Memorial Tournament and 1993 MCI Heritage Classic. His best finish in a major came at the 1984 Masters, where he tied for third. 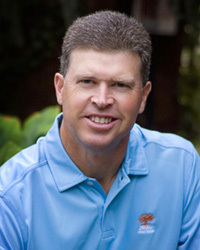 Edwards became eligible for the Champions Tour in April 2006 and won the 3M Championship in August of the same year. Edwards and his wife, Jonnie, have two daughters, Rachel and Abby. Hayes attended Oklahoma State University and was a 1st Team All-American in 1970 and 1971. After college, Hayes served in the U.S. Army from 1971 to 1973. He was member of the 1972 World Amateur Cup Team. After joining the PGA Tour, Hayes captured two titles in 1976 – the Byron Nelson and the Pensacola Open. In addition, he has won the 1986 Tallahassee Open, and has won the Oklahoma Open three times. Hayes’ biggest career victory was in 1977 at the Tournament Players Championship at Sawgrass Country Club. This win gave him a 10-year PGA Tour exemption and helped secure his spot on the 1979 U.S. Ryder Cup Team. Hayes joined the Champions Tour at the 1999 Coldwell Banker Burnet Classic, and his best Champions Tour career finish came when he tied for 10th at the 2001 Siebel Classic in Silicon Valley. Hayes and his wife, Jana, have two children, Kelly and Ryan. Tewell attended Oklahoma State University on a basketball scholarship and excelled in golf. He graduated in 1971 and turned pro that same year. 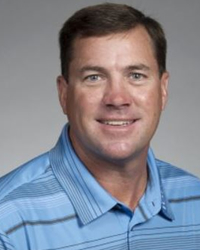 Tewell won four times on the PGA Tour with wins at the 1980 Sea Pines Heritage, 1980 IVB-Philadelphia, 1986 L.A. Open and 1987 Pensacola Open. He joined the Champions Tour in 1999 and was named the 2000 Senior PGA Tour Rookie of the Year. 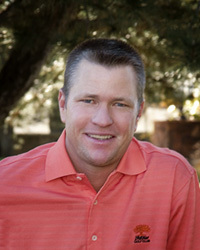 Since 2000, Tewell has won seven times on the Champions Tour. He won his first major title at the 2000 Senior PGA Championship. His second major title came in 2001 at the Countrywide Tradition, where he closed with the lowest round ever shot in a Champions Tour Major, a 10 under 62. Tewell and his wife, Pam, have two children, Kristine and Jay. Gellerman played golf at the University of Oklahoma (2010-2014), where he won the Wyoming Cowboy Classic and led his team with the lowest scoring average for two years. He has earned status on the Web.com Tour for 2016. Kropp played golf at the University of Oklahoma (2010-2013) and currently competes on the McKenzie Tour (Canadian Tour). Davis played golf at Oklahoma State University. While in school, he won the Royal Oaks Intercollegiate his Junior year. He currently competes on the PGA Tour Latino America, where he has four top 10 finishes for the 2015 season. He has earned his card for the Web.com Tour for 2016. Meyers played golf at Oklahoma City University. A 6-A state champion at Edmond North in 2005, 2006, 2007 and 3 time all-metro conference. He won the Oklahoma Golf Amateur Title in 2011. Ogle started playing golf at age 12 and attended high school at Oklahoma Christian, where he won one individual state championship and three team titles. He played for UCO one year and turned Pro in 2013. He is currently playing on the Adams Tour, other mini tournaments and Monday qualifiers for the PGA and Web.com events. Rust played golf at the University of Central Oklahoma (2012-2013) and currently competes on the McKenzie Tour (Canadian Tour). Saxon played golf for the University of Oklahoma (2011-2015), where he had two wins. The first win came in 2013 at the Lions Classic. His second victory came in 2015 at the Liberty Spring Invitational. Trimble played golf for Southern Nazarene University. He won the Florida Marine Open (2013) while playing on the NGA Pro Golf Tour. Copyright © 2017 Oak Tree National. All rights reserved.